1.) 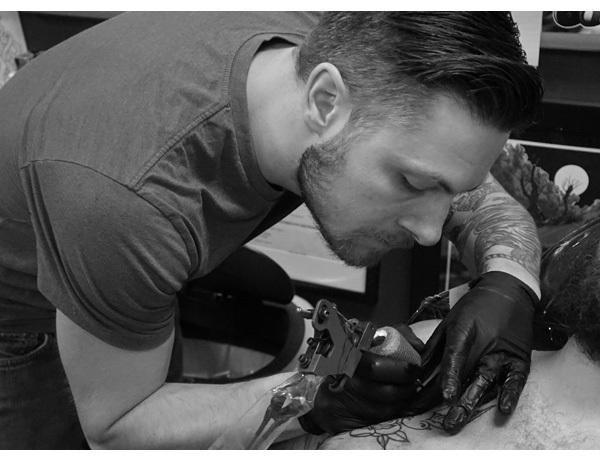 Doug, you’re our first tattoo artist, and we couldn’t be more excited to have you on board! Let’s start by getting to know where you grew up and where you studied or practiced your craft. I grew up in western Massachusetts in a small town called Greenfield. I moved to Boston and attended the Art Institute of Boston. Which is now Leslie College of Art and Design. 2.) Tell us how living and working in New England inspires you and your work. Are there any specifically New England elements that you love? Why have you made New England your home base? Growing up in New England has been great. I love the changing seasons and like most people who live in the area, my all-time favorite season has to be fall. Growing up in Western Mass we are particularly known for our foliage. The colors of the valley, in the fall, have been a favorite of mine. 3.) Before pursuing the tattoo trade, your work bridged illustration projects, graphic design assignments, and sign making. Tell us a little about how all these outlets work or don’t work together. 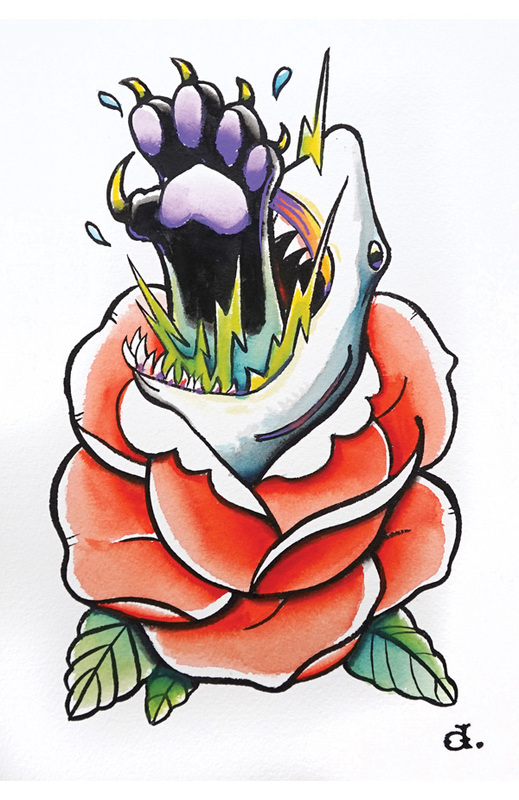 What challenges did you face in your art before you found your voice in the tattoo community? Before I found myself in tattooing I was doing freelance graphic design and sign making for Whole Foods Market. Design has always been fun, but illustration was were my passion was at. So sign making offered the best of both worlds. After five years of sign making and design I felt it was time to go a different path. I've always been into tattooing and have tried to get into it but never took it seriously enough to pursue it full-time. After much sacrifice and hard work I'm finally doing it. 4.) What are some of your favorite non-tattoo mediums to work with? How do you express yourself these days when you’re not engaged in studio work? I draw constantly non-stop all the time. Art, eat, sleep, repeat! I mostly paint in watercolor and acrylics. 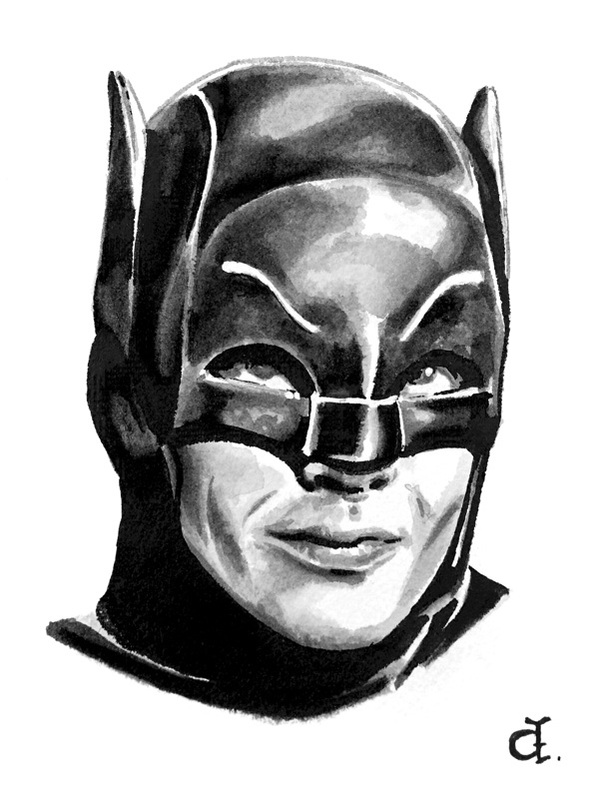 I still dabble in digital design but nothing compares to a traditional medium. There's no control+alt+delete when painting with ink on arches paper. 5.) Does the sketchbook still play a roll in your work? Or do you have new ways to work out an idea for a client? Tell us a bit about how your background made it easier or harder to make the transition into tattooing. The sketchbook is always there, it has never left my side. I constantly draw and redraw. I can be a little obsessive about my illustrations, and perfecting an idea before it goes to a finished product. 6.) How long have you been working at Shark Tank Tattoo in East Hampton? It’s a beautiful shop; give us a rundown on a day in the life of Shark Tank. Shark Tank tattoo has been great. I have been at the shop for a year and a half now. My average day at the shop consists of drawing, consulting and tattooing clients, drawing, listening to music, and more drawing. Just plain enjoying myself. Doing all things that you couldn't do at a 9-5. 7.) Do you have any specific tattoo styles you are developing or traditional styles you prefer to specialize in? Educate us on some of your favorite styles and or themes you’ve been attracted to. I really like all styles of tattooing. I'm really into traditional tattoos and illustrative styles at the moment. I love the simplicity, readability and the classic look of an American traditional tattoo. 8.) Who or what has been your biggest influence in the tattoo world? Influences. That's a hard one. There are so many great artists out there. Some of my top artists that come to mind are Bert Grimm, Mike Rubendall, Tom Strom, Peter Lagergren, Shige and this list goes on. 9.) I’m sure our readers are curious what an apprenticeship is like; could you share some of your experience?